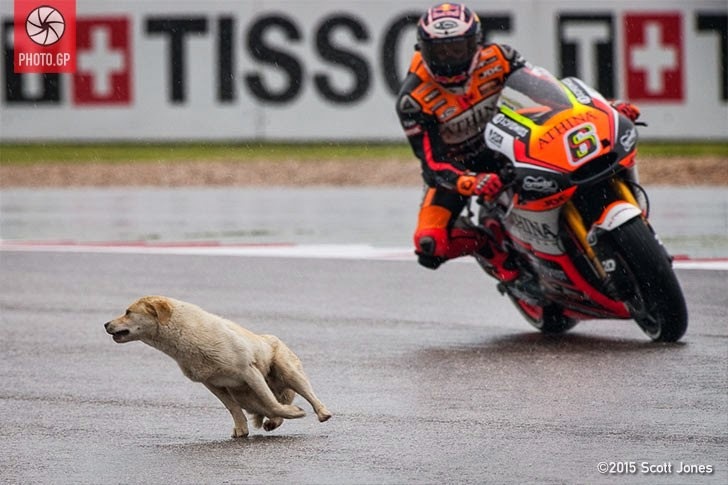 A 1-year-old dog brought track activities to a halt during practice for the MotoGP Red Bull Grand Prix of The Americas on Friday, April 10. A little over a week later, the track-happy pup, named Moto by his rescuers at Austin Animal Center, has found a new home. Moto ran out on track during the opening practice session at the Circuit of The Americas, located in Austin, Texas, bringing out a red-flag period while he was captured. Fortunately, despite the wet track conditions, all of the riders were able to avoid Moto. Now, however, the Shiba Inu mix has been adopted from the center, according to Austin Animal Center’s Facebook page. Wishing Moto all the best with his new family!